This week we’ve changed the Brawl of the Week! Queue alone or with a friend in Water Bomb Bash! We also changed items on sale in Malhalla, reset missions and added a new Legend rotation. Water Balloons are old news, this 6 person Free-for-all calls for something… Bigger. 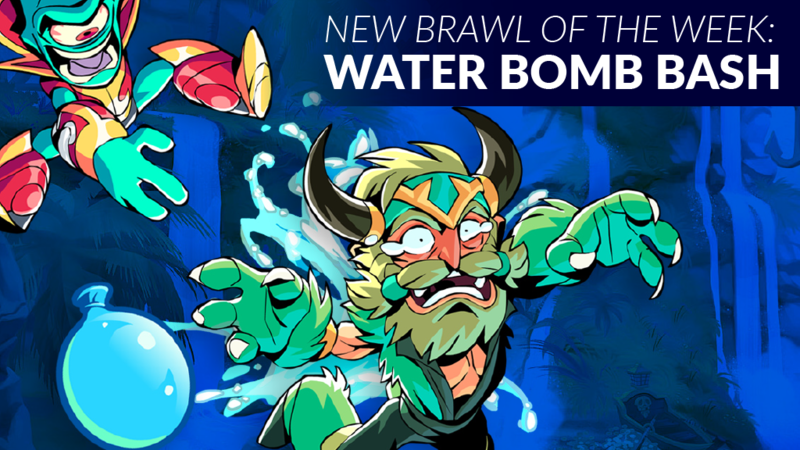 Break out new giant water bombs in this crazy showdown! Score 2 points for getting a KO, lose 1 for getting KO’d. Watch out for those bombs! Check out Malhalla for new sale items! 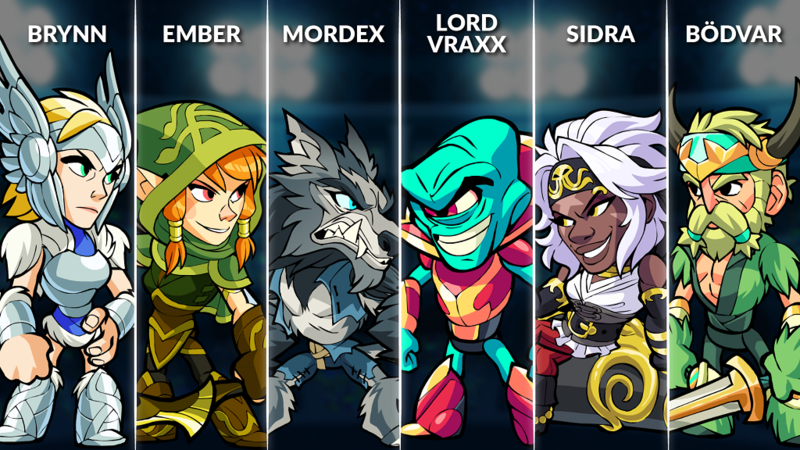 The new Legend rotation for this week includes: Brynn, Lord Vraxx, Ember, Mordex, Sidra, and Bödvar! Brynn – Competing for the pure joy of it, this Valkyrie has seen many victories due to her skill with the Axe and Spear. Lord Vraxx – A feared warlord dominates his opponents with Rocket Lance and Blasters! Ember – This quick and dexterous elf does battle in Valhalla with Bow, Katars and her two companions: a wolf named Ash and her raven named Yarra. Mordex – Wielding Gauntlets and Scythe, this lycanthrope steps into battle! Bödvar – He is the Protector of the North and dreams of endless battle. Bödvar has broken down the doors to Valhalla himself and is ready to take down his foes with Sword and Hammer!